LAHORE: Technological upgrades to systems are not enough to ensure urban security as mismanagement and unplanned urbanisation are the order of the day in Punjab’s urban centres. At the same time, the government lacks the framework to deal with these phenomena. The findings were reported in a study conducted by Punjab University Department of Political Science’s Professor Dr Iram Khalid under a research grant by the Higher Education Commission of Pakistan (HEC). The study, titled Urban Security: A case study of Rawalpindi, Lahore and Bahawalpur (2015-16), highlights urban insecurities faced by the populace of the province. The study selected these three urban centres, highlighting the diverse challenges within Punjab. These ranged from urbanisation to increasing ethnic, political and religious extremism in the province. The study findings also indicated that levels of urban insecurity varies from city to city. It added the sense of deprivation and dissatisfaction among citizens was increasing the level of urban insecurity and there was a general lack of civic awareness. 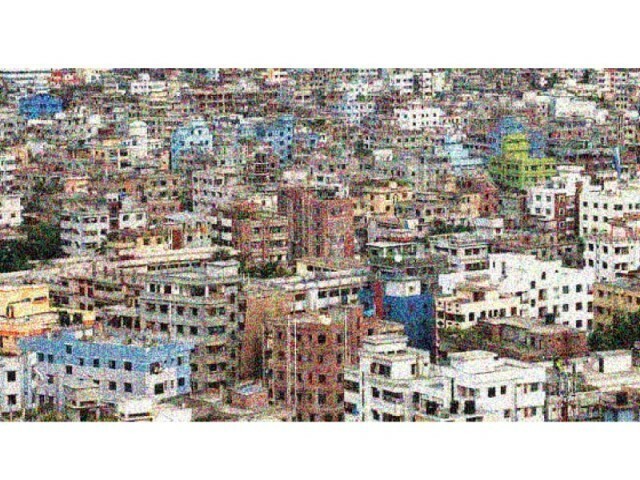 The study described the concept of urban security as a protected socioeconomic urban sphere which ensures city dwellers, through the promotion of human development, are safe from all sorts of exploitation and violence. The study highlights that Pakistan’s urban infrastructure is not sufficient to deal with developing requirements of urbanisation, thus providing space to extremists and criminals who are exploiting the poor governance infrastructure. It said that the demographic changes in Pakistan’s urban centres have given rise to violence and ethno-political apprehensions. The study finds that in urban areas, socioeconomic disagreements are seen as a contributing factor to criminality and militancy. It notes that in Punjab, the government is focused more on the technological uograding of criminal investigative systems rather than developing a culture for civic awareness on urban security. In Lahore, the study found that robbery, carjacking, unemployment, sexual harassment of women, road accidents and absence of health facilities are some of the major urban challenges. It pointed out that for the provincial capital, law-enforcement and government agencies had taken measures to protect citizens from physical violence, yet healthcare and unemployment remained largely unaddressed. Rawalpindi, bearing similar patterns to Lahore, showed an influx of refugees and police persecution. At the same time the biggest challenges faced by locals were related to economics, food and health insecurity. Certain areas also had a high number of street crime cases. The study noted that the city, apart from unemployment, had political demarcation on sectarian lines and lacked recreational activities for its inhabitants. For Bahawalpur the study said, “The intensity of unemployment has broadened and deepened the sense of insecurity and vulnerability.” It found that a sense of deprivation and dissatisfaction, food insecurity, illiteracy, unemployment, absolute poverty and social exploitation had created a compromised state of security in the city. Published in The Express Tribune, November 21st, 2017.